It’s easy to get confused with all the specialized technical terminology you hear in business today. One common problem in the instrument industry caused by terminology is confusing a diaphragm seal and a diaphragm valve. Of course, both devices operate using a flexible diaphragm that can transmit pressure effects, but an engineer will tell you the similarities end there. A valve is a mechanical device by which the flow of a liquid or gas may be started, stopped, or regulated by a movable part that opens, closes, or partially obstructs one or more passageways. Valves come in scores of types and sizes for specific applications. A diaphragm valve is one well-known type of valve. The primary working part of a diaphragm valve is the diaphragm, a flexible membrane that bulges to shut off flow when acted upon by a plunger behind the diaphragm. WIKA does not sell diaphragm valves. The primary working part of a diaphragm seal is also a diaphragm, but in this case, the flexible membrane transmits a pressure effect from a process media through a fill fluid to a pressure gauge or sensor where it is measured. A diaphragm seal is used to physically separate a pressure measuring instrument from a potentially damaging process medium (i.e., extremely hot, cold or corrosive media). 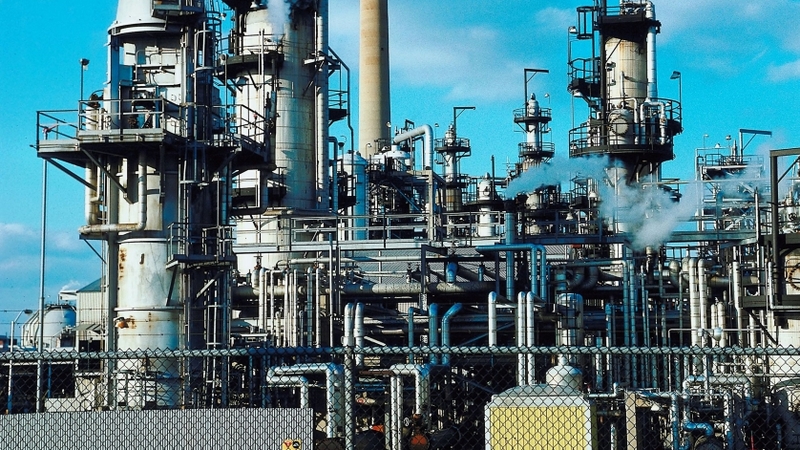 Diaphragm seals made of special alloys can dramatically extend the useful life of pressure gauges and transmitters in the refining and chemical processing industries where corrosive media are common. Manufacturing and packaging in the food, pharmaceutical and biotechnology industries often involves very hot or cold processes, so many instruments used to monitor these processes include a diaphragm seal.